Photographed this flower in April 2008, near Georgetown, SC (along the coast). Have not been able to identify it. Hi Don and welcome to WildflowerHaven Community! I have embedded a view of your photo from Flickr.com. If this is not acceptable to you then you can delete the image link or let me know so I can. I am not an expert on wildflowers beyond Texas, but I can usually recognize a lupine when I see one. I believe this is Lupinus diffuses Nutt., Sky-blue Lupine, aka. 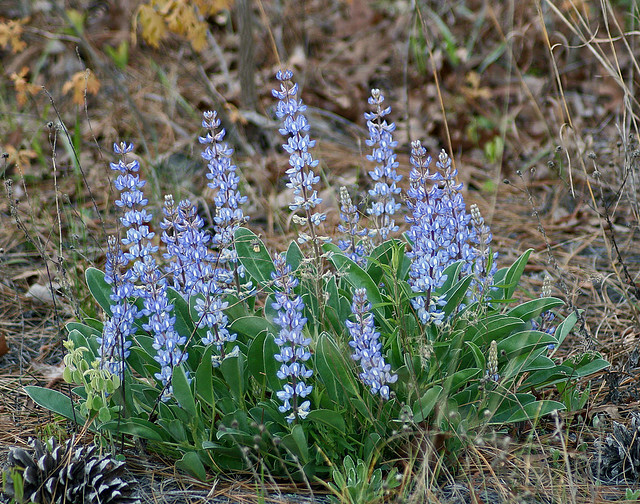 Oak ridge lupine - http://www.wildflower.org/plants/resu... . It is found in sandy soils from North Carolina to Florida and along parts of the Gulf states. Very lovely plant and you captured it perfectly.